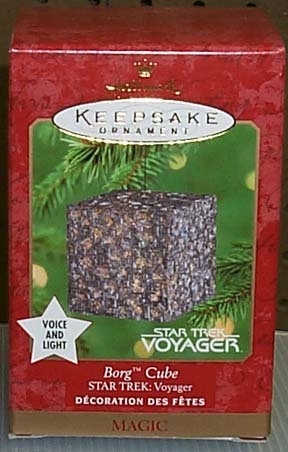 Wonderful Star Trek ornament! Light glows eerily and steadily from within the ship. You will also hear a greeting delivered in true Borg fashion: "We are the Borg. Enjoy your holidays. Resistance is futile." All other Star Trek Hallmark ornaments also available. 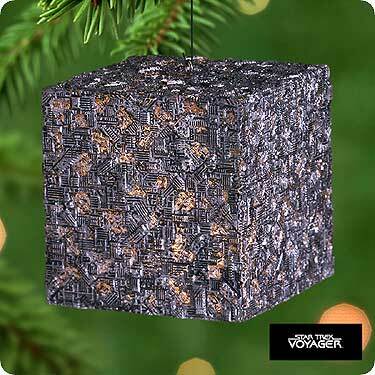 Items Similar To "BORG CUBE Star Trek: Voyager Hallmark 2000 Ornament"